The Modulair provides a portable compressed air supply system for the users of airline breathing apparatus. It has a welded stainless steel frame for robustness and to avoid corrosion to the unit. 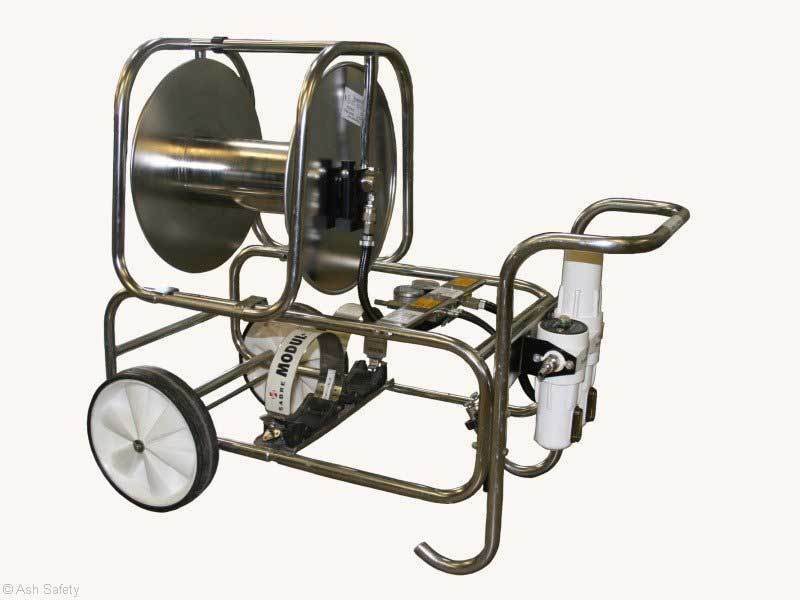 The hose reel can hold up to 90 metres of standard hose or 60 metres of anti-static hose. The use of a "Y" piece enables two people to be deployed into the confined space at the same time. 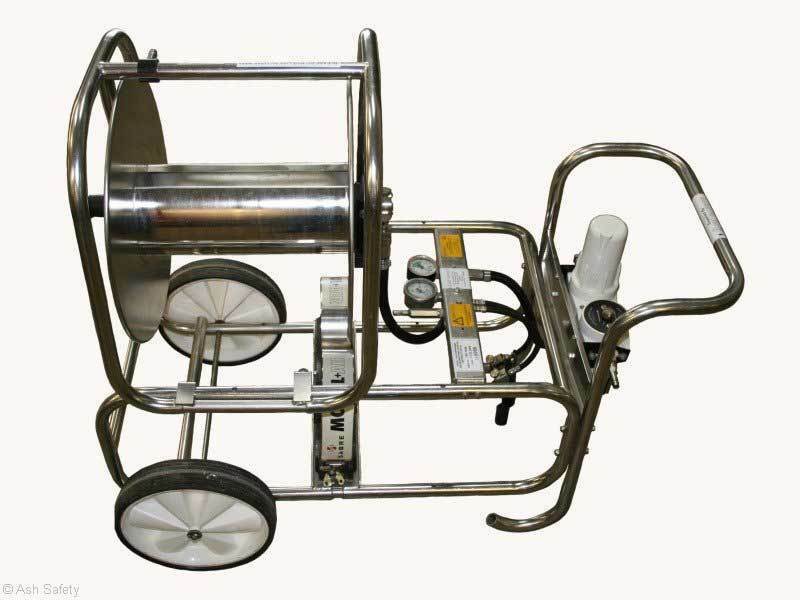 This item is a 2 cylinder option, but many other configurations can be supplied. Please contact us on 01404 43000 to discuss. A BA set must be used with this item to provide air to the wearer. This can be a Flite Airline Breathing Apparatus with Leg Escape Set or and full Self Contained Breathing Apparatus (SCBA) with auxillary input. The set is supplied without cylinders or hose and these need to be purchased separately.